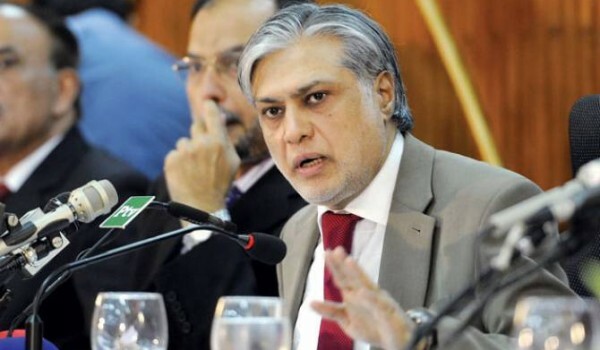 Federal Minister for Finance Senator Mohammad Ishaq Dar chaired a meeting at the Finance Ministry Monday to review the progress so far being made on the K2, K3 nuclear energy projects. Secretary Economic Affairs Division (EAD), Saleem briefed the meeting on the progress of the project. He said that the progress of the project has been actively monitored. He also told that the Economic Affairs Division is also coordinating with the Pakistan Atomic Energy Commission (PAEC) to complete this project on priority basis. The finance minister said, “This project is important for the future of the country; we cannot bear any delay in its completion.” The project when completed will be the cheapest source of energy for the people of the country and this is actually what we desire for them, further said the minister. The aforementioned energy projects will be a part of Pak-China Energy Corridor and will be jointly financed by China (EXIM Bank) and Pakistan in a ratio 82 and 18 percent respectively. The finance minister directed that all departments which are concerned with the completion of this project should actively participate and come up with fruitful suggestions for solving any technical issue with regard to the successful and timely completion of this project. These nuclear plants built near karachi are best for Pakistan to cut off its energy crisis. Also the electricity generated will be relatively cheap than other sources like fossil fuels. Also an equivalent number of additional jobs are expected to be created indirectly with each project. The above headlines “charging country up on nukes” should be corrected that not on nukes but on nuclear energy. We need to end up with the ambiguous mythical approach that nuclear can always be used for weapons only. Nuclear energy is largely been used for civilian purposes in order to charge up the economy. It is a global trend to generate energy from nuclear power plants. Nuclear is one of the credible and sustainable source of energy which not only address the needs of present but future too. The plan proposed by the GOP with regard to the construction of K2 and K3 near the coast of Karachi is in fact for making the country to fulfill its rising energy demands. The newly constructed pants would be comprised of enhanced safety features like double containment, passive heat removal system, containment cooling, cavity flooding, containment filtration and exhaust system, etc, have reduced the plume exposure pathway EPZ to less than 3 kms in radius.They will also generate 10, 000 jobs for the nationals of the country. We are in dire need of energy and nuclear is an efficient and viable source of power generation. There is a dire need to understand that the building of nuclear power plants with facts rather than on mythical notes. Nuclear energy is ideal and desire part of Pakistan’s energy needs. Insufficient hydrocarbon sources create political, economic and environmental issues. Nuclear energy is a safe and practicable alternative. Pakistan spends $1 billion in oil imports per 1,000 MW, which is not cost-effective. Nuclear energy can reduce that burden. Amidst hugs, tears of joy and relief, the families of around 500 Pakistanis were reunited as flights from war-torn Yemen reached Karachi and Islamabad airport.